Vinyl Graphics are a cost effective versatile form of signage that can be used on internal walls, panels and windows, making use of often neglected areas that can actually be used to get a message across to your customers. Vinyl Graphics are versatile, and given the right care and attention, they can be truly remarkable to look at. As you can see by scrolling down the page, at A1deSIGNS we don’t just provide a printer for vinyl graphics, we also have an excellent portfolio that shows you just what we can do with Vinyl Graphics, and this is an outstanding indication of what we are able to achieve. So for designs for your graphics for vinyl signs, look no further than A1deSIGNS. When it comes to vinyl graphics for signage, we find that it’s very functional, durable and versatile, it creates products which last long and can be applied to most surfaces. At A1deSIGNS we used premium quality vinyl for all of our products so you can trust that your purchase will be long lasting. Vinyl products can be stuck anywhere, shop windows and other commercial windows, our car vinyl graphics are also great for vehicles, they can go literally anywhere! Should you want brightly coloured, glossy or matte vinyls, we can cater to all these requirements. You can be as creative as you like with our vinyl products. Another great advantage includes that these vinyl products aren’t permanent, they can be removed if you wish. Even though they are water, sun and oil-proof, we can provide a simply way for them to be removed. Where Can Vinyl Graphics be used, and What For? Vinyl graphics can be applied to windows and used to list products, contact details and websites, all-the-while leaving more space on your main signage for an uncluttered, clear message. 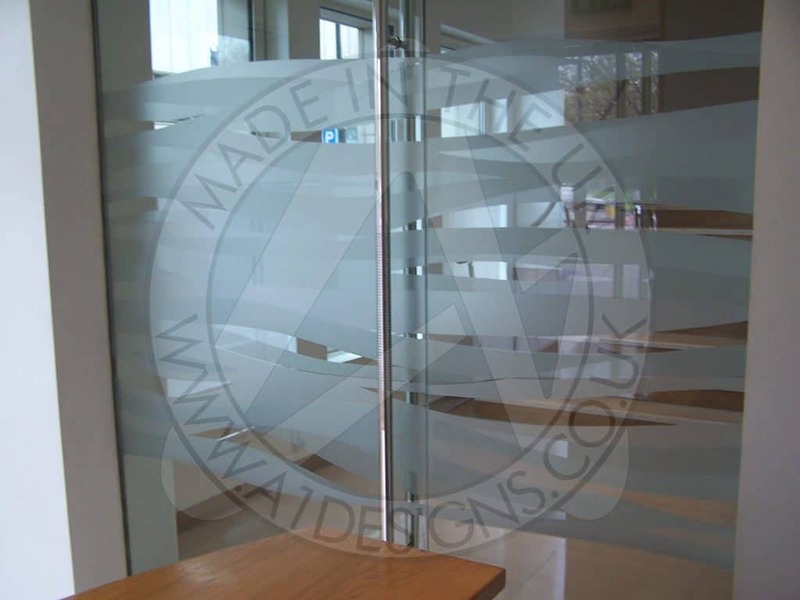 Vinyl graphics can also be applied in a wide variety of colours, including etched glass colours and solar films. Window vinyl graphics designed in the right way can enhance privacy whilst making the most of the space available to getting a message across. Choices can be viewed on our Colour Selector Page. Some popular choices when it comes to custom vinyl graphics, include vinyl lettering, which creates something which not only stands out but looks unique. Should you require shop window vinyls or signage for your business, look no further than A1deSIGNS. Vinyl graphics can also be applied to panels and used as site boards, advertising work being carried out on a property or applied to banners. Vinyl Graphics can also be wrapped around a variety of different materials from metal through to brick and acrylic. How long will my vinyl graphic last for? Vinyl is durable and at A1deSIGNS we only provide the highest standards of products and services. Our vinyl graphics will last much longer on surfaces including walls and windows as they’re not being rubbed constantly against other surfaces. All of our products have strong adhesives that ensure your design doesn’t move unless you want it to. Often, our vinyl stickers outlast the surfaces they’re applied to. What surfaces will my sticker stick to? The vinyl products can stick to anything that’s smooth and clean, including wood, plastic, metal and glass. So you can put it anywhere you like, at A1deSIGNS we recommend cleaning your surface so it’s free from dust, grime and grease in order to make sure the product will last the longest. At A1deSIGNS we have the know-how to produce the vinyl graphics to meet your requirements. We can advise on the materials to use and where to use them, and on top of this, we are able to work closely with you to ensure we get the design elements just right. Vinyl Graphics are another fitting way to enhance the interior and exterior of you working environment, and A1deSIGNS can help you to achieve this. So whether you require vinyl graphics for trucks or window vinyl graphics, simply contact us now for a free quotation or to discuss your requirements for Vinyl Graphics. If you’d like to speak to an experienced sign maker, please get in touch.